The Area T™ Pre-wired Pickup Set for Tele® includes the Area T™ Neck and Area T™ Bridge pickups, control plate, knobs, and complete wiring harness featuring solderless installation. The Area T™ Bridge does what a great Tele® bridge pickup is supposed to do: the highs sing, the lows snap and the mids have a punch that's almost unreal. It tracks changes in pick attack and volume, and it does so instantly. It's also very sensitive to string distance. The volume is very high when the pickup is close to the strings, but can be adjusted much lower by backing the Area T™ away from the strings. 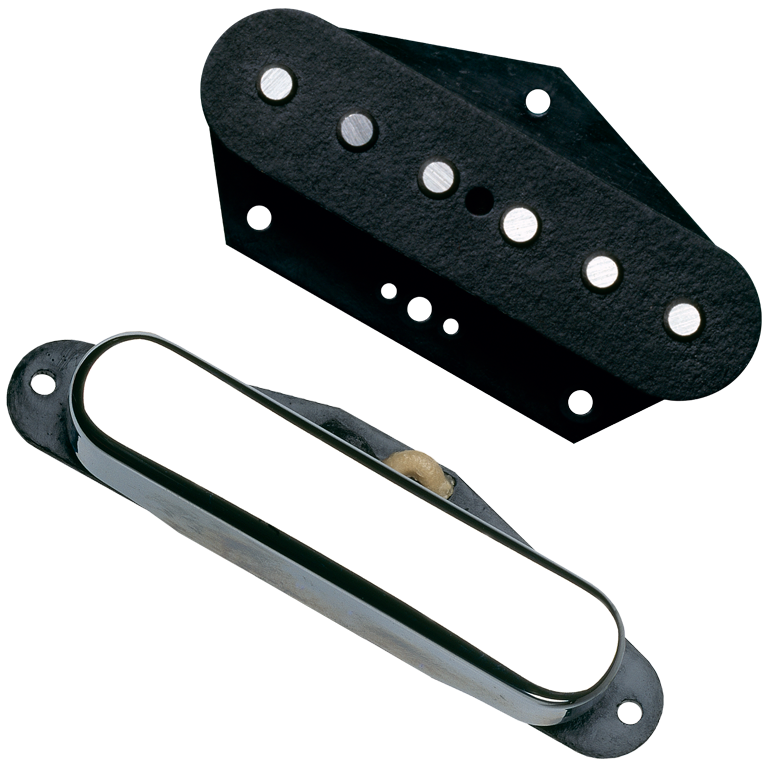 String pull is not a problem with the Alnico 2 magnets that are standard on the Area T™ Bridge. The Area T™ Neck has the combination of clarity and warmth that Tele® players have always sought, and our patented design allows us to utilize a vintage Tele® cover with no sacrifice in sound. The contrast between a warm neck pickup tone and a biting bridge pickup sound is a Tele® hallmark, but it's hard to achieve if the neck pickup is muddy. The Area T™ Neck model has a very smooth tone, but its ability to remain clear even with heavy overdrive is an essential quality of the Area™ design.